About Bicycle Accident Attorney Adam Franzen | Welcome to Adam Franzen. P.A. Adam G. Franzen is the Firm’s founder and directs the Firm’s family law, criminal defense, personal injury and real estate practices. Prior to founding the Firm, Adam worked at Papy, Weissenborn, Vraspir & Puga P.A. in Miami, Florida.Adam is a graduate of Creighton University School of Law and studied internationally at the University of College London. After Law School, Adam traveled to Costa Rica and learned spanish at El Universidad de Idiomas en Costa Rica. 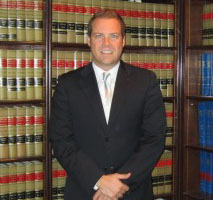 Adam can assist you in answering your legal questions in either English or Spanish.Adam is a member of the Florida Bar, the United States District Court of the Southern District of Florida, the Miami Dade Bar Association Broward Bar Association and the American Bar Association. I bring a focus and intensity to our clients that is unparalleled. The Law Offices of Adam Franzen is a full service firm that devotes our practice to all aspects of family law, criminal defense, personal injury and real estate law. You can count on me to provide the highest quality of legal services to you throughout the complex and often, time consuming process. If you have questions, I have answers. At the Law Offices of Adam Franzen, I strive to inform, counsel and represent your best interests from the initial interview until the final order. I invite you to learn more about the Firm by browsing this site or by contacting me via phone or email. Please call (954) 462-5790. Because my firm is located in the heart of Broward County, Florida, my firm can represent you in all of Florida, regardless of whether you live in a different state or are located in the farthest reaches of the world. At the Law Offices of Adam Franzen, I am dedicated to providing legal counsel of the highest caliber in an efficient, ethical and cost-effective manner. My mission is to develop a long term relationship with each and every client. To do so, I am attentive to our client’s expectations and responsive to their needs. I know you work hard for your money and are concerned with providing the highest level of legal services for a reasonable fee. My firm takes pride in its honest approach to counseling my clients with the most pragmatic information available to effectively attain successful results. If you would like a consultation, please call or email me at your convenience and I will gladly set up a time to discuss your legal concerns. I accept credit cards and offer a payment plans. Please call (954) 462-5790. This website contains general information about the Law Office of Adam Franzen and is not intended to be a source of legal advice for any purpose. Neither receipt of information presented on this site nor any e-mail or other electronic communication sent to the Law Office of Adam Franzen or its lawyers through this site will create an attorney-client relationship, and any such e-mail or communications will not be treated as confidential. No user of this site should act or refrain from acting on the basis of information included on this site without seeking legal advice of counsel in the relevant jurisdiction. The Law Office of Adam Franzen expressly disclaims all liability in respect of actions taken or not taken based on any contents of this site.